Bass fishing (largemouth, primarily) is growing in popularity around the country; it is growing really fast in western states such as Colorado, Idaho, and Nebraska due to the accessibility (public water nearby), crowding of trout streams, and new cadre of anglers that prefer alternatives to trout. Jay Zimmerman features 18 cutting-edge patterns from around the country for largemouth and smallmouth bass, explains how to fish them, and has detailed tying steps. Because of how widespread bass (largemouth, smallmouth, spotted) are, this book should appeal to anglers around the country. Jay Zimmerman's articles frequently appear in Fly Fisherman and Fly Tyer. He works with Charlie Craven at Charlie's Fly Box in Old Town Arvada, Colorado. 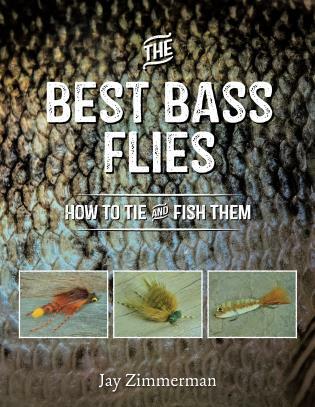 He is the author of The Best Carp Flies: How to Tie and Fish Them.